Many of our readers do more than just hunting on the weekends or spending a day at the range. 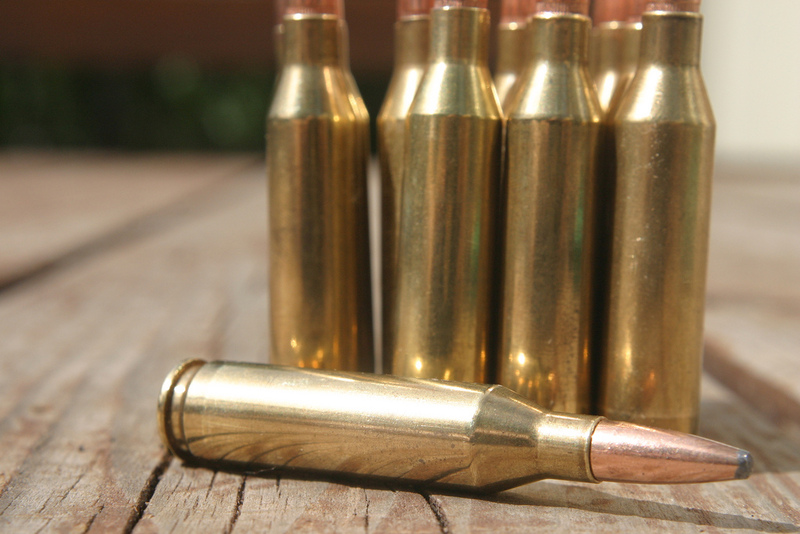 A lot of us like to be much more involved in the lifestyle and culture of firearms, and having a set of quality tools at hand to reload your ammo is crucial for an accurate shooter. We’ve put together this review of the best digital powder scales, for those of you who like to recycle or fill your own ammo. Instead of reviewing both manual and digital scales, we stuck to solely digital for this review. A loose product, such as gun powder, comes with its own set of challenges. The main one is to contain the mess that could easily occur! The other challenge is measuring your powder accurately, which is surprisingly more difficult if you’re not going the electronic way. Also, we’ve mentioned it before within our scale reviews, but we’ll mention it again here: please, please, always calibrate your scales! As a friendly reminder, calibrating when weighing any type of product is crucial to having accurate results. Happy scaling, friends! Materials – The Frankford Arsenal DS-750 Digital Reloading Scale is one of the more basic or simplistic options for the aspiring gunsmith who isn’t working at a commercial level. The scale is easy to carry in your hand and acts as its own carrying case with a simple plastic cover. Included is the scale itself, powder tray, a weight for calibration, two AAA batteries, and a soft storage case. The scale is simple to read and utilize, and it has just a few buttons for power, taring, choosing your measurement unit, etc. The scale can weigh up to a 750 grain capacity and measures in units of grain, gram, carat, and ounce. It also comes with two plastic tools for manipulating and distributing your powder. Performance – The Frankford Arsenal DS-750 Digital Reloading Scale is likely the more appropriate style of scale for the majority of our regular readers. It’s lightweight, easy to transport where needed, and it’s not intended to work on a massive scale (no pun intended). This the only option that doesn’t need to be maintained in a permanent table setting, which makes it pretty convenient. Of course, there’s chance of things getting a little messy with an exposed scale for your powder. Make sure you’re in an area where there won’t be a breeze and little activity around you while you work. 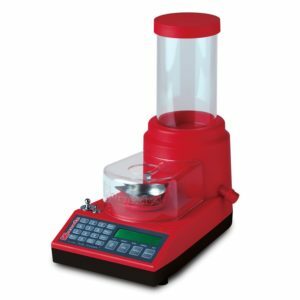 What we say – The Frankford Arsenal DS-750 Digital Reloading Scale is the best powder scale for those at home who are interested in refilling their own shells as a hobby or simply to save a little money. The compact size is perfect for anyone on the go. Materials – The Dillon Precision Terminator Grain Electronic Scale is a similar style of scale to the previous option, but it’s not exactly made for traveling or carrying. 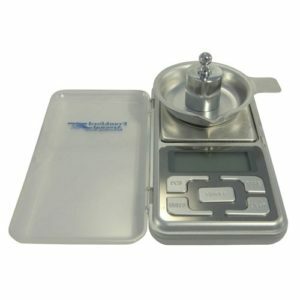 This table scale can weigh up to a 900 grain capacity, and it can display weight in either grains or grams. The scale is accurate to 1/10 of a grain or 1/100 of a gram. This option requires four AA batteries, but these are included in the packaging. Also included is a calibration weight and an AC adaptor for non-battery use. This digital screen is easy to read and even easier to utilize, with just three buttons: power, tare, and unit. Best of all, all the electronic components of the scale come with a one year warranty from the manufacturer. Performance – The Dillon Precision Terminator Grain Electronic Scale is a more heavy duty option that is still a viable product for use at home in a garage or workspace without being too over the top. We would suggest using the included AC adaptor as frequently as possible and the battery power only for when it’s necessary; four AA batteries will drain quickly, especially if you’re going to be using the scale throughout long afternoons. Your capacity to scale definitely expands, compared to the previous option, but don’t expect to conveniently travel with this product. Everything else about this powder scale is quite simplistic. 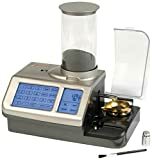 What we say – The Dillon Precision Terminator Grain Electronic Scale is the best powder scale for reloading shells at home, if you have a permanent work space. The heavier duty scale can easily stay put in a corner on your work bench, and the adaptor will give you countless hours of life. Materials – The Hornady Lock N Load Auto Charge brings us to the next level of weighing powder. 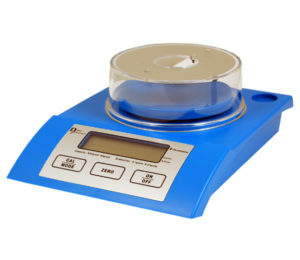 This scale features a compartment for holding large amounts of powder. It has three speed settings for distributing your powder into the scale as well as a trickle function. The scale itself is accurate to 1/10 of a grain, and it can hold up to 1000 grains. The digital screen is backlit, for easy ready, and there is a full keypad for maneuvering the scale. There are two calibration weights included, and there is a button dedicated to that function. Of course, buttons for switching between units and speeds are also included on the keypad. Performance – The Hornady Lock N Load Auto Charge is one of the most popular digital powder scales for reloading on the market today. Surprisingly, you’ll read some mixed reviews between “this is the best scale ever” and “it stopped working after ‘x’ uses”. In our opinion, we were big fans of this product, and the best conclusion we can come to is that when a product is mass produced, there are bound to be some lemons. Luckily, there’s a warranty included! This choice, and the next choice in this review, are the only options that have plastic coverings in place to protect your loose powder from flying away during scaling. This makes a huge difference in your productivity level and your clean up process. What we say – The Hornady Lock N Load Auto Charge is the electronic powder scale for those who intend to work with a larger amount of powder. Perhaps you are fully invested in recycling your shells, or you provide this service for a close circle of likeminded gunowners. Materials – The Lyman Gen 5 Touch Screen is for the serious at-home gunsmith and professionals alike. 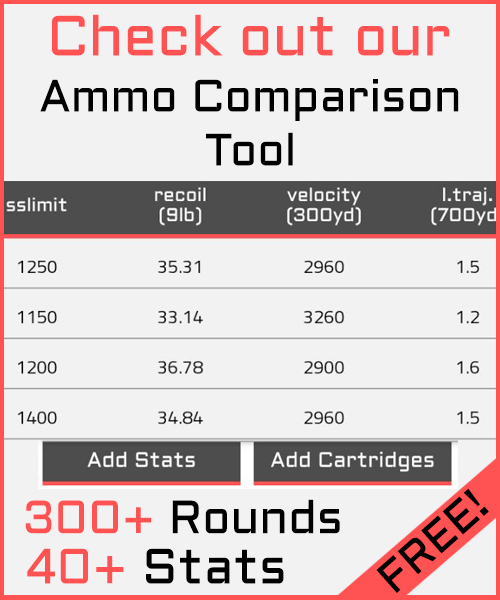 It holds the largest capacity mentioned within this review, weighing up to 1500 grains at a time. The scale is, like the others, capable of being accurate up to 1/10 of a grain. Special technology provides an anti-static feature, so there’ no mess when measuring. The unique, digital touch screen makes this the most advanced style of electronic powder scale on the market. Toggle between units, powder distribution speeds, and even program the memory to scale a specific weight for up to 100 rounds. Performance – The Lyman Gen 5 Touch Screen scale could literally be the best powder scale for reloading. It is, for sure, one of the most innovative and advanced tools you can purchase for your workshop or work bench. With that in mind, this option is particularly more expensive than any other scale you can purchase online. This really is better for gunowners who are working on a professional level, instead of the at-home hobbyist. The entire screen is backlit, so it’s easy to read and use. You can expect a large investment on this option means you’ll be getting a very, very long lasting use out of it. What we say – Like we said before, the Lyman Gen 5 Touch Screen scale is the best powder scale for those working on a professional level or are working with high amounts of powder at a time. It’s a wonderful product that can be worth the investment to the right buyer. Our favorite digital powder scale ended up being the Hornady Lock N Load Auto Charge. Quite often, when it comes to gunsmithing tooling for the everyday gunowner, we will end up siding with a product that is already popular online. This is not because it’s the easy choice, but it’s because good products can usually speak for themselves. The Hornady Lock N Load Auto Charge is a happy medium between scaling powder in your home workshop and working on a professional level. The average gunowner can still expect a good quality scale without having to spend a ridiculous amount of money. This option was versatile and easy to use, and it protected our powder from being blown around or turning into a mess. We could work comfortably with it while staying efficient.